The Whitsundays Islands are one of the best places to try scuba diving for the first time! The diverse and calm reef beds offer the perfect place to explore the underwater world alongside your fellow divers and dive instructor. 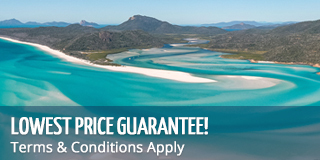 There are several tours that offer scuba diving in the Whitsundays. Tours will welcome both introductory divers and certified divers. Introductory diving requires no experience. All the is required is that divers must fill out and pass a medical questionnaire and be able to swim. There may also be age restrictions if you're a first time diver! Sometimes introductory divers will have dived before, but are not certified with a diving organisation such as PADI. Certified divers are divers that have their open-water certification or higher through such an organisation. All of the diving tours listed above are happy to host both types of divers so that everyone can enjoy the fun of scuba diving. Introductory divers are closely monitored by their instructor and must stay with them at all times. Certified divers have more flexibility when under the water as they will have done classes and testing to ensure their abilities. 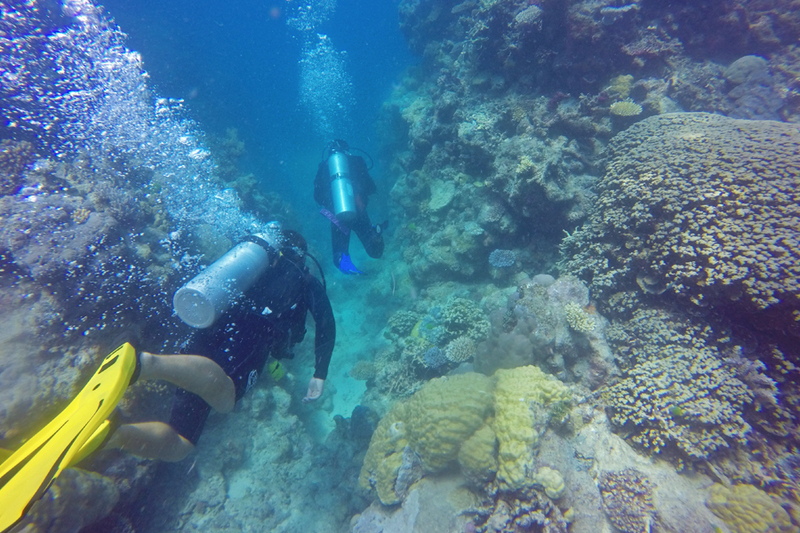 One of the biggest perks of having an instructor is that they will know all the different animals and corals that live around the reef and can point them out to you so you don't miss a thing! Look forward to an immersive experience where you may get to see such animals as reef sharks, sea turtles, Maori Wrasse and more. Pay attention to your instructor and get to know everything you can about the reef.